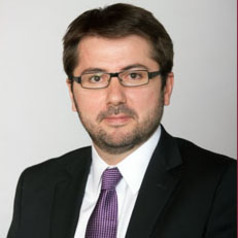 Dr. Zirogiannis is an environmental economist with a focus on energy policy research and applied econometrics. His energy policy work ranges from applications in the electricity sector (co-pollutant benefits of climate change mitigation policies in power plants), transportation (macroeconomic impacts of the Corporate Average Fuel Economy Standards), and industry (upset emissions from refineries and chemical plants). He also works on dynamic latent variable models that are applied to the estimation of performance trajectories. The applications there range from measuring the performance of water utilities, assessing the cognitive decline of Alzheimer's disease patients as well as estimating the human development status of nations across time. Zirogiannis holds a Ph.D. and M.S. in Resource Economics from the University of Massachusetts Amherst. He is a member of the Agricultural and Applied Economics Association and the Association of Environmental and Resource Economics.